The Honda NSX Concept-GT, which is spun off the Acura NSX Concept, was unveiled on Friday, further signaling the automaker's intention to link the NSX name to racing. 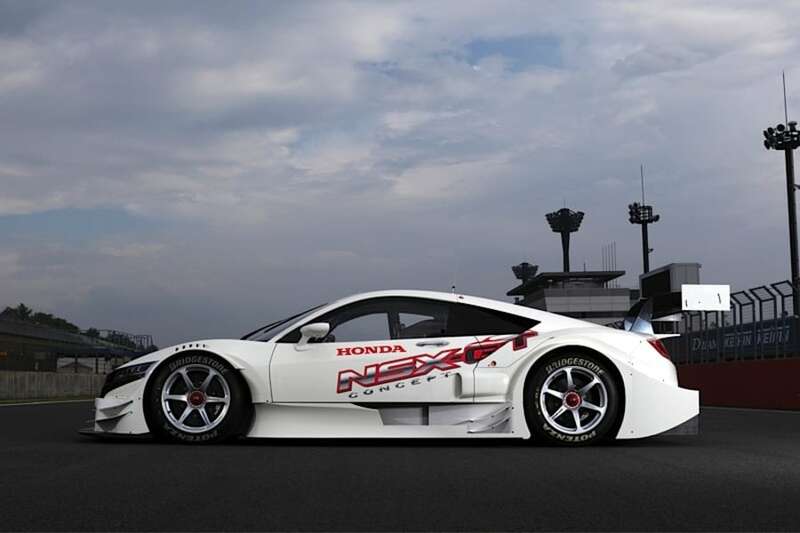 The NSX Concept-GT will compete in the GT500 class of the 2014 Super GT Series fifth round. 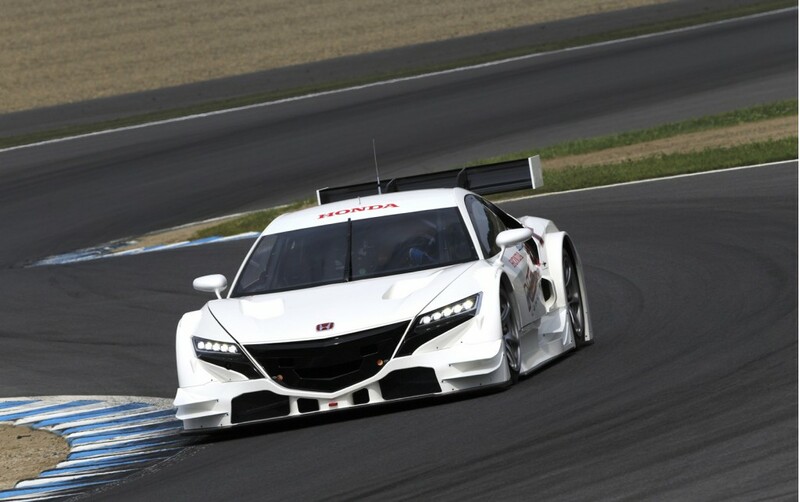 Honda describes it as a "dedicated racing vehicle." Honda released few details about the NSX Concept-GT, but said it is powered by a mid-mounted 2.0-liter inline direct-injection four-cylinder turbocharged engine and a racing hybrid system. Photos of the car show the addition of a wide-body kit, an oversized rear wing, lowered suspension and multispoke wheels. This is the second time in a month that the NSX name has been associated with racing. A prototype of the 2015 Acura NSX supercar made its dynamic debut before the running of the Honda Indy 200, with the automaker adding that it intends "to go racing with the new NSX." The prototype lapped the 2.4-mile Mid-Ohio Sports Car Course. The production version of the Acura NSX will be an all-wheel-drive hybrid powered by a mid-mounted, direct-injected V6 combined with twin electric drive motors, all coming together to comprise Acura's Sport Hybrid SH-AWD drivetrain. The 2015 NSX will be produced exclusively at a new $70-million Performance Manufacturing Center in Marysville, Ohio, and exported around the world. Honda said earlier that the NSX will begin mass production in 2015. Pricing has not been announced.